MOVE IN AND ENJOY OR EXPAND ON GENEROUS 8,540SF LOT!! Award Winning Cupertino Schools. Easy 1.6mi. Commute to New Apple Campus. 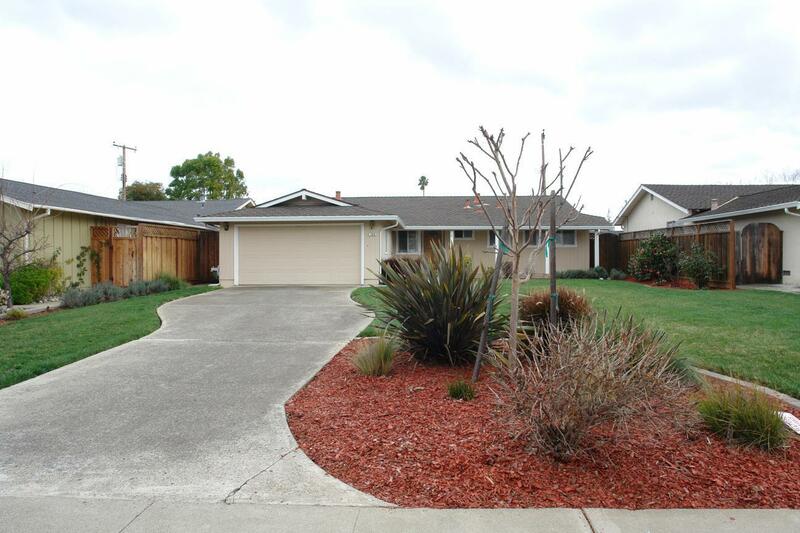 Spacious 4BR/2BA Family Home has Attached (2) Car Garage with Oversized Driveway to Accommodate RV/Multiple Vehicles. Formal Living Room & Dining Room Combination. Separate Family Room plus Screened Patio. Energy Saving Dual Pane Windows. Original Hardwood Flooring Under Carpets. Central Forced Air Gas Heating & Air Conditioning. Park-Like Backyard with Mature Landscaping. Low, Low Santa Clara Utilities. Easy Commute to All Silicon Valley Hi Tech Employers, Shopping, Parks, etc. Cupertino Schools- Eisenhower Elementary, Hyde Middle School., Cupertino High School. THIS IS THE IDEAL HOME YOU HAVE BEEN WAITING FOR! !